Unfortunately, Robert Navrotski passed lost his battle with cancer on 10/10/18, so this now reverts to his estate. Takenoba wakizashi, signed sanjimei, Taira Nagamori. Hawatare 1 shaku 8 sun 3 bu 3 rin (55.56 cm / 21.875") Motohaba: 2.86 cm. Kasane: 6.5 mm. Takenoba tsukure, mitsumune, bohi & horimono. 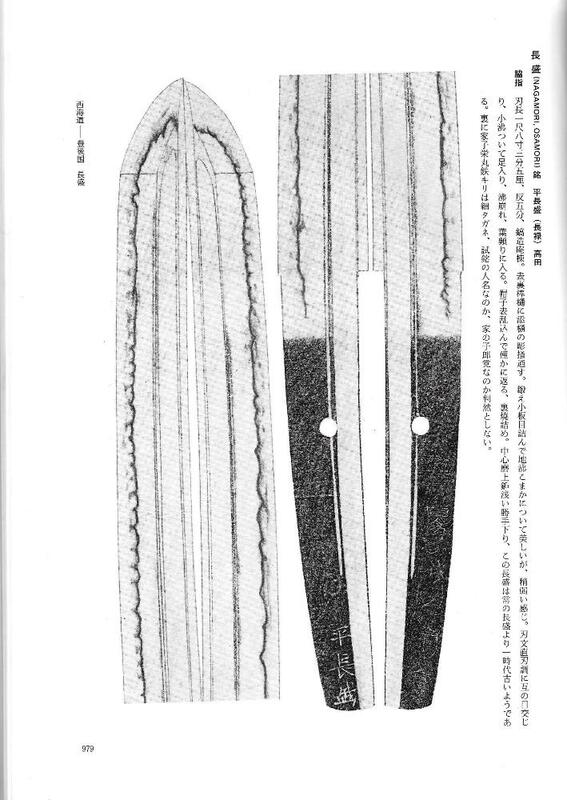 Ko-nie deki suguba ko-midare, with wide florid gunome choji midare, deep ashi yo, nado midare below the horimono on both sides. Tight itame mixed with ko-mokume hada with fine jinie. There is Rai jigane, or namazu tetsu, characteristics of the Rai and Aoe schools. 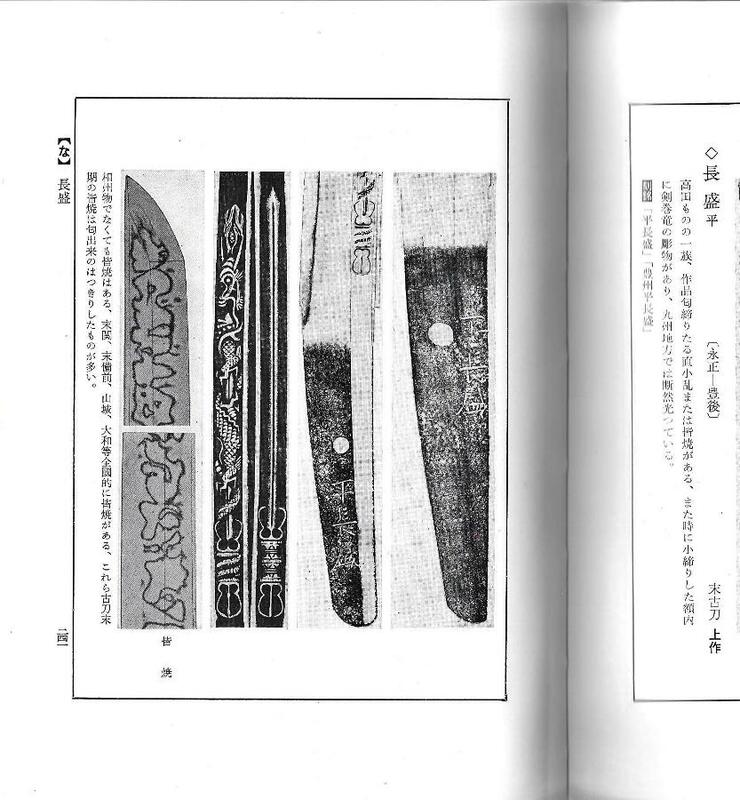 So what in a overly polished blade might be considered shintetsu, since this appears to be in its original polish, must be considered an utsuhi of one of these schools. I would favor Rai. Rated Josaku in Nihon Toko Jiten - Koto Hen, Fujishiro. Valued at 4, 500,000 yen in Toko Taikan, by Tokuno. Extensively illustrated in multiple reference books. NTHK-NPO rated at 77 points, three below their equivalent to juyo rate. Taira Nagamori was active around Eisho (February 1504 - August 1521). 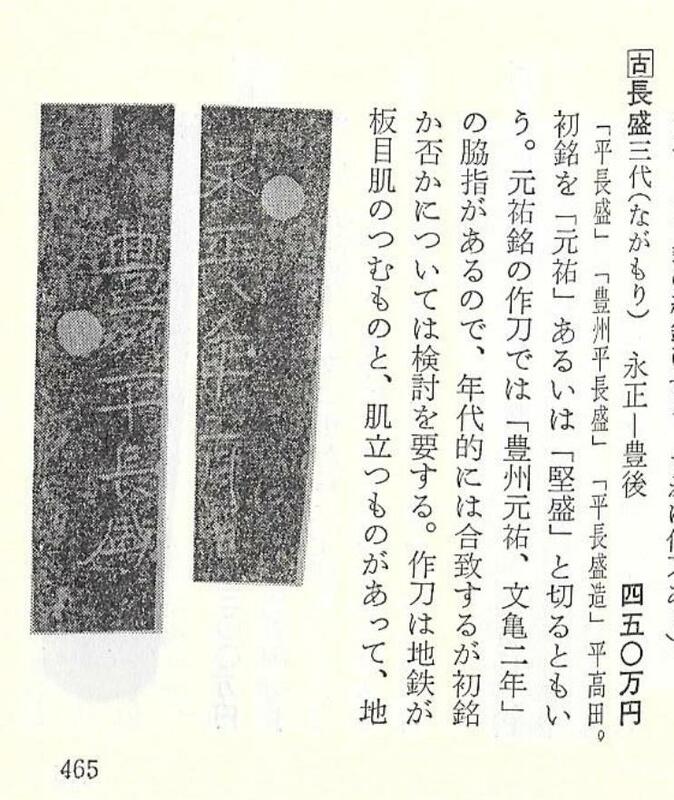 As of 2000, there was one sword rated Juyo Token. Itame mixed with ko-mokume hada with fine jinie. Rai jigane, or namazu hada.